This experience from mother-daughter pilots is one of a kind that looks awesome. Passengers of Delta flight from Los Angeles were amaze on a kind of bond this two women doing on their flight Delta Boeing 757. 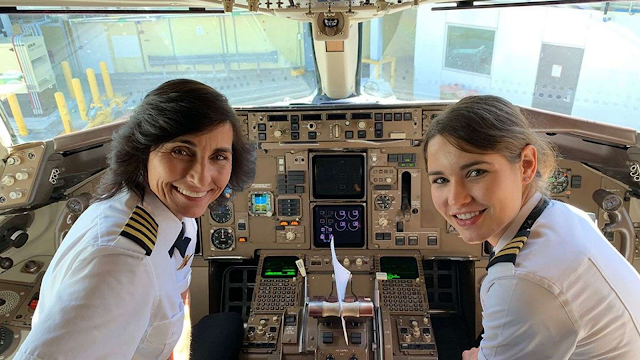 Thrilled passengers were excited to share on social media the photo of the mother-daughter team pilot, after they learned that the flight's pilot were Captain Wendy Rexon and her daughter, First Officer Kelly Rexon. "Just flew from LAX to ATL on Delta piloted by this mother daughter flight crew. Great Flight. Inspiring for young women," tweeted by Dr. John Watrel, chancellor of the world-renowned aeronautical university Embry-Riddle Worldwide. The tweet went viral, garnering more than 42,000 likes and more than 16K retweets.